Earning an online MBA in information and computer systems is usually a very wise investment in your career prospects. By specializing in information systems or computer systems, you will put yourself in line for many excellent senior level management positions in virtually all industries. This is because of a strong, steady demand for technical workers who are able to plan, manage, coordinate all of the technology-related activities in a company. With an MBA in information systems, you will be able to become an information or computer systems manager. After several more years of successful experience, you may be able to eventually become an executive and become a Chief Information Officer (CIO) or Chief Technical Officer (CTO). An information technology or information systems MBA will provide you with the skills and tools that you need to transition into technical management positions in many business sectors. An information systems MBA is designed for an experienced professional, and sometimes for a recent college graduate. This type of MBA will teach you about how to manage the informational and organizational systems that companies rely on today to conduct business operations. The focus of this two year or three year MBA program is to learn how to boost the technical efficiency of companies. Your MBA program will teach you how to effectively analyze the company’s technology and computer needs, and to recommend effective upgrades for senior executives to consider. Also, you will learn how to manage and ensure system security for the company’s network and electronic information. Further, you will plan and direct the installation and maintenance processes with new hardware and software. Most MBA programs in information systems will require you to have a background in computers and technology, such as with a bachelor’s degree in computer science. These programs normally take four years to finish, and will feature classes in computer programming, developing software, mathematics, and statistics. It also is helpful if you have have business classes in management, finance and accounting. You will usually need to have a GPA of 3.0 or higher to get into an MBA program, and GRE or GMAT scores could be required. However, more online MBA programs in information systems today are waiving standardized test scores. Many MBA programs will want you to have at least two or three years of experience in information systems. All online MBAs in information technology will have several different sections. You will first need to take a set of core MBA classes that will teach you all of the essentials of business management. The most common classes that you will take in your core MBA section will be courses in statistics, quality management, leadership, economics, accounting and finance. Your career path in information technology with an MBA should have plenty of excellent career opportunities. The Bureau of Labor Statistics states that all computer and information technology jobs will grow by 12% by 2024. The field will add nearly 489,000 jobs, with a total of 4.4 million by 2024. It is thought that there will be more jobs for IT professionals because of a bigger focus on ‘cloud computing,’ as well as the collection and storage of massive amounts of data. Information technology and computer systems managers often are known as IT project managers. They are responsible for planning, coordinating, and directing all computer and technology activities in an organization. They help to determine what the information technology goals of the company should be, and are in charge of implementing software and hardware systems to meet business goals. The job outlook in this profession is excellent, with 15% more jobs to be available by 2024. There is no doubt that more job growth will be seen in information systems as there is a need to improve cybersecurity in all types of companies. The median pay reflects the growing demand and importance of information technology managers: $131,000 per year. A computer systems analyst studies the computer and software systems of a company, and comes up with new information systems tools and solutions to improve the efficiency of a business. These professionals need to be able to bring together both business and information technology, and to understand the potential and limits of both. Computer systems analysts need to use many advanced techniques, such as data modeling, to design effective computer systems. The job outlook in this field is outstanding with 21% growth expected by 2024. 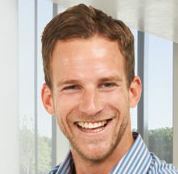 You will need to have excellent computer technology skills to prosper in this role, and a business background with an MBA is also valuable. Median pay was $85,800 in 2015. 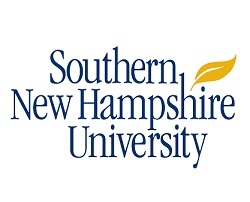 Southern New Hampshire University – Online MBA in Information Tech Management – With an online MBA in Information Technology Management, you will be able to get far ahead in a technological environment that is changing rapidly. You will develop a very strong foundation in business management, and also will learn all of the most up to date information about modern information technology. Your MBA from this no GMAT program will be ideal to grow your career in IT management, digital commerce, e-business, telecommunications. and more. Rutgers University – This Analytics and Information Management MBA will provide you with the skills that you need for a strong career in the management of information systems. You will take classes in database systems, data mining, internet security, accounting systems, and software engineering. This program is fully accredited in New York and the GMAT is not required. Walden University – With this no GMAT MBA, you will learn how to link business strategy with innovation with a technology management concentration. You will study how to benchmark best practices that are used by high technology companies. You also will learn how to identify emerging technologies, and grow an environment in your company that encourages people to innovate. Saint Leo University – The importance of information systems security and the need to completely protect information systems at companies are why this university offers this MBA in Cybersecurity. This online, no GMAT degree will ensure that you have both the technical skills and business knowledge to lead your team at the front of the battle against people who want to try to do harm to information systems in corporations. South University – The Master of Business Administration in Management Information Systems will provide you with the skills and tools that you need to succeed as the leader of an IT department or organization. The foundation of this no GMAT program is in economics, behavioral sciences, strategic management and strong decision making. This program can be taken fully online, and you will not need to submit GMAT scores. California Intercontinental University – The Master of Business Administration with a focus on Information Systems and Knowledge Management is designed to help you to prepare for a career in the field of configuration management, knowledge management, server administration and control systems management. You will learn everything that you need to know to enjoy a blossoming career in business management. This program is fully accredited in California and does not require a GMAT score. Capella University – This online MBA in Information Technology Management will help you to grow the skills that you need to boost business competitiveness. You will learn how to leverage information technology, assess the impact of how technology advances business, and how to interact most effectively with executive management. You also will learn about many different leadership styles and will learn how to evaluate and choose the best style to manage many IT functions. No GMAT is required. Franklin Pierce University – This MBA in Information Technology will give you all of the skills necessary that you need to succeed in your role as a leader in your IT department or organization. This no GMAT program gives you the advanced technology and business management expertise that will enable you to be a strong leader in the field. You will develop a system-wide perspective, critical analysis skills and strong strategic thinking skills. Stratford University – This MBA in Information Technology and E-Commerce will prepare you for a dynamic career in business, management and leadership. You will develop a comprehensive foundation of all the fundamental areas of business, as well as the analytical tools to make good decisions. No GMAT is required.